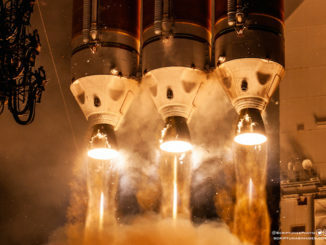 EDITOR’S NOTE: The Electron launch was scrubbed again Wednesday night (U.S. time), and liftoff has been rescheduled for Thursday night (U.S. time). With a fix in place for a propulsion system alarm that cut short a countdown in the final seconds Monday, U.S. time, Rocket Lab is readying an Electron rocket for another try in a window opening at 8:30 p.m. EST Wednesday (0130 GMT Tuesday) to begin a test flight aiming to deliver three small commercial CubeSats to orbit from a remote New Zealand launch pad. Peter Beck, founder of the U.S.-New Zealand rocket company, said engineers have identified the problem that prevented liftoff on the Electron rocket’s last launch attempt on Tuesday afternoon in New Zealand, or Monday night, U.S. time. 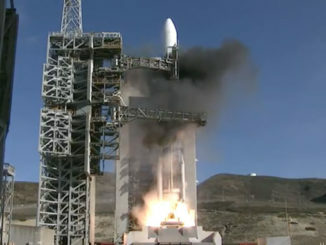 Liquid oxygen feeding into one of the Electron booster’s nine Rutherford engines was too warm, and the computer-controlled countdown sequencer automatically ordered an abort at T-minus 2 seconds, moments after the engines ignited at Launch Complex 1, a commercial base on the east coast of New Zealand’s North Island. Liquid oxygen valves leading into the Rutherford engines are opened during the final minutes of an Electron countdown, allowing the super-cold fluid chilled to approximately minus 300 degrees Fahrenheit (minus 184 degrees Celsius) to flow through the propulsion system. The “chilldown” procedure ensures the engine components are properly conditioned for start-up. “We send LOX (liquid oxygen) through the engine to cool the engine as any cryogenic engine does,” Beck told Spaceflight Now in a phone interview. “The conditions of the day were a lot warmer than we’ve ever experienced, and basically we need to increase the duration of the chilldown schedule, or the bleed schedule. We’re basically bleeding liquid oxygen through the vehicle, through the engines, to chill the engines up. “While they were within our operational limits, on a test flight we have the bounds pulled right in, so it exceeded one of the bounds on the temperature. So as the engine started, it wasn’t happy with the LOX temperature and it shut the engines down,” he said. On the next countdown, programmers have reworked the sequence to start the chilldown procedure earlier. “It’s as simple as that,” Beck said. The next four-hour launch opportunity opens at 8:30 p.m. EST Wednesday (0130 GMT; 2:30 p.m. New Zealand time Thursday). Rocket Lab has a broader launch period extending through Dec. 17 pre-approved by New Zealand airspace authorities and the Federal Aviation Administration, which has regulatory oversight of Electron launch operations because Rocket Lab is headquartered in Southern California. Beck said Rocket Lab’s launch team has rehearsed a last-second abort, but Monday’s countdown was the first time the practice was put into action. “When you get down to two seconds and engine ignition, of course there’s a lot of excitement in the room at that point, but the vehicle is very advanced, with its checking and instrumentation, and the electric turbopumps really enable this kind of thing to occur,” Beck said in a phone interview from Rocket Lab’s manufacturing center in Auckland. The Rutherford engines, developed and produced in-house at Rocket Lab, burn kerosene and liquid oxygen propellants to generate nearly 4,000 pounds of thrust at sea level — and higher power at high altitude. Their 3D-printed pumps are driven by battery-powered electric motors, not gas-driven turbopumps used on large rocket engines. 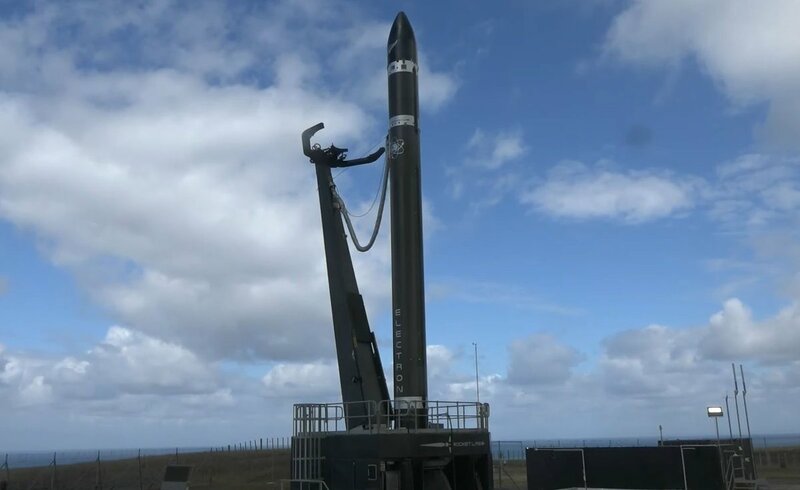 Weather at the New Zealand launch base, owned an operated by Rocket Lab, will be monitored throughout the day as the launch team prepares for the opening of the next launch window. 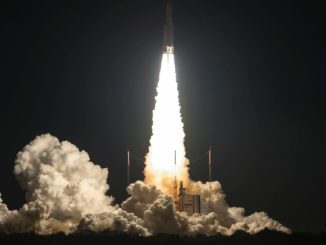 Beck is optimistic the launch can occur before pre-approved launch period closes Dec. 17 (New Zealand time), but officials could extend the period or negotiate a new window if conditions don’t allow it. The two-stage Electron rocket will head south from its launch pad on Mahia Peninsula, targeting deployment of three CubeSats provided by two California-based companies — Spire and Planet — in a polar-type orbit ranging between 186 and 310 miles (300-500 kilometers) above Earth. It will be the second flight of an Electron rocket after a May 25 test launch reached space, but faltered before it attained the speed required to enter orbit. Rocket Lab blamed a programming error in ground tracking equipment for the vehicle’s inability to each orbit. The malfunction caused range safety officers to lose track of the rocket, and they followed procedures to send a termination command to the booster. The rocket was performing well up to that point around four minutes after liftoff, officials said. The first stage burned as planned for two-and-a-half minutes, and the second stage’s modified Rutherford engine ignited as designed. No payloads were aboard the May 25 test flight. Rocket Lab officials hope the second mission, which it calls “Still Testing,” will prove out the rest of the Electron rocket’s systems through the remainder of the second stage burn, and then demonstrate the launcher’s ability to release payloads in orbit. Backed by venture capital funds in the United States and New Zealand, along with strategic financial investments from Lockheed Martin and the government of New Zealand, Rocket Lab designed the Electron rocket to place up to 330 pounds (150 kilograms) of payload into a sun-synchronous polar orbit, filling a niche in the commercial launch market that analysts say is currently under-addressed. An Electron launch sells for around $4.9 million, according to Rocket Lab.